Mendhi, masti and much more. 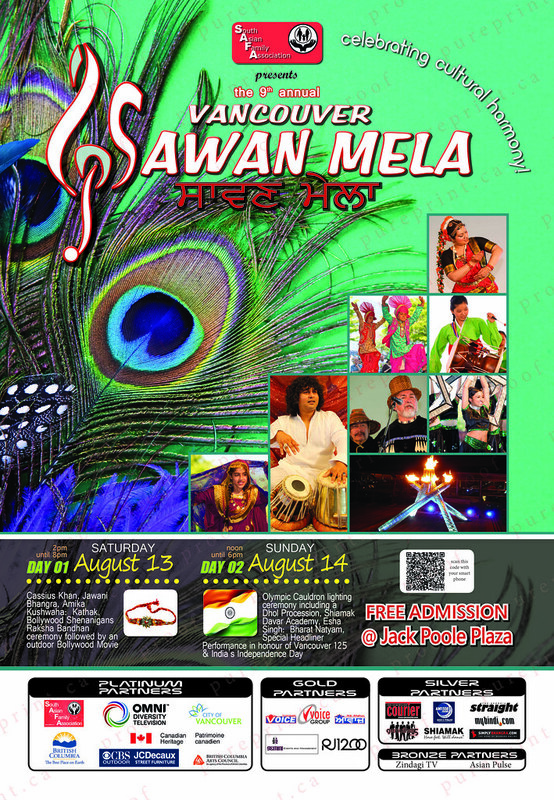 The South Asian Family Association is pleased to present their annual cross-cultural extravaganza, Sawan Mela, occurring on the weekend of August 13 and 14. SAFA's mandate is to create cross-cultural awareness as well as provide a platform for youth to showcase their talent. The Sawan Mela originally began in 2002 in South Vancouver and now 9 years later, is set to take over Jack Poole Plaza, the home of the Vancouver 2010 Winter Olympic Cauldron for two exciting days.